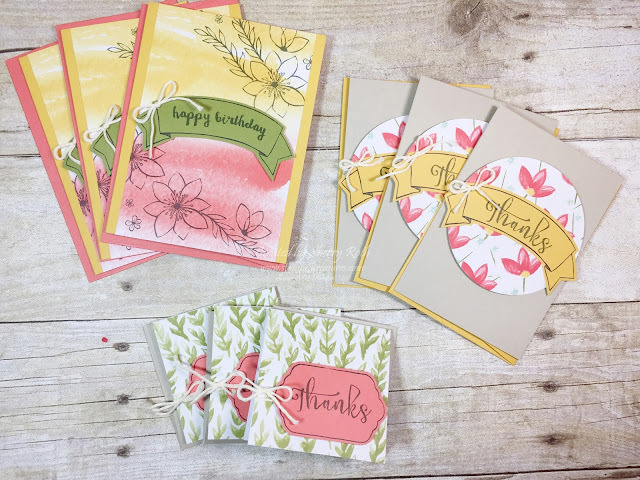 Sherry"s Stamped Treasures: I Love Paper Pumpkin Kits! I Love Paper Pumpkin Kits! A few friends and I got together last weekend to spend a few hours crafting. I decided to bring this months Paper Pumpkin kit and a few others that still needed to be finished up. I must say that this months kit is stunning and it was so EASY! All the little accents are stickers so it make putting the cards together a breeze. I did alter the bottom design a bit but apart from that I loved the cards just as they were meant to be. The other kit I finished up was December's kit. I hadn't even opened this kit yet. It is beautiful! I don't know why it took me so long! And thanks to Paper Pumpkin within an hour, I had 18 cards finished and ready to send out. It can't get any better than that! 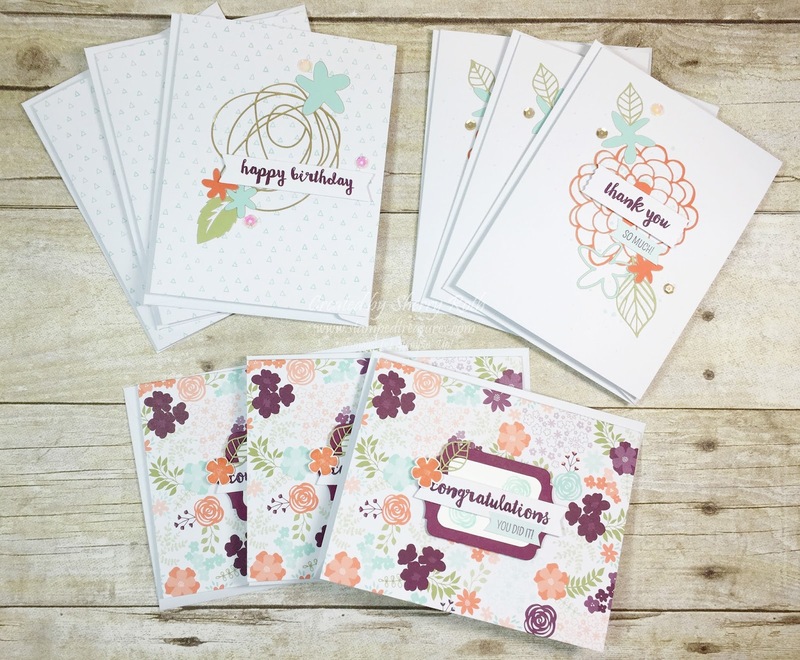 Did you know that Paper Pumpkin will be celebrating 3 years in March? I've been a subscriber since the beginning and I can't believe how far the kits have come! They are such an incredible value and the stamp sets are ones you can use over and over and EXCLUSIVE to the Paper Pumpkin kits! To celebrate their 3rd birthday, March's kit will arrive in a beautiful turquoise box! If you aren't already a subscriber be sure to sign up before March 10th to receive the March kit. Remember there's still time to purchase a 3-month prepaid subscription (only $69) AND qualify for a free SAB item! Order your subscription online using product #137859 and then set up your Paper Pumpkin profile here. I will be sending out a little thank you to all my new and current subscribers in March. There's still time for me to add you to my list of gifts to send!